It was a beautiful start to the day with the early morning sun catching the mountains, lighting them up spectacularly. 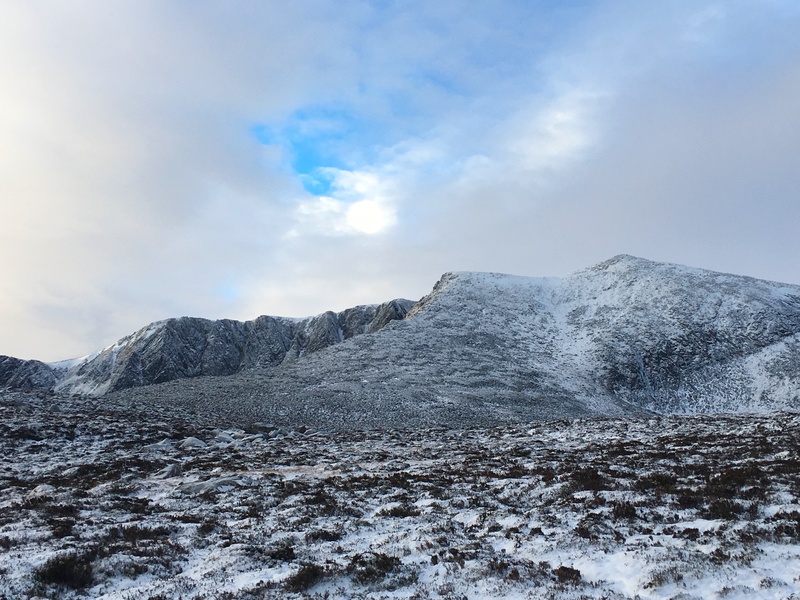 It didn’t take long though before the cloud pushed in from the North-West and Lochnagar disappeared for the day. Light snowfall arrived mid-morning and it felt properly wintery around the top of the cliffs. 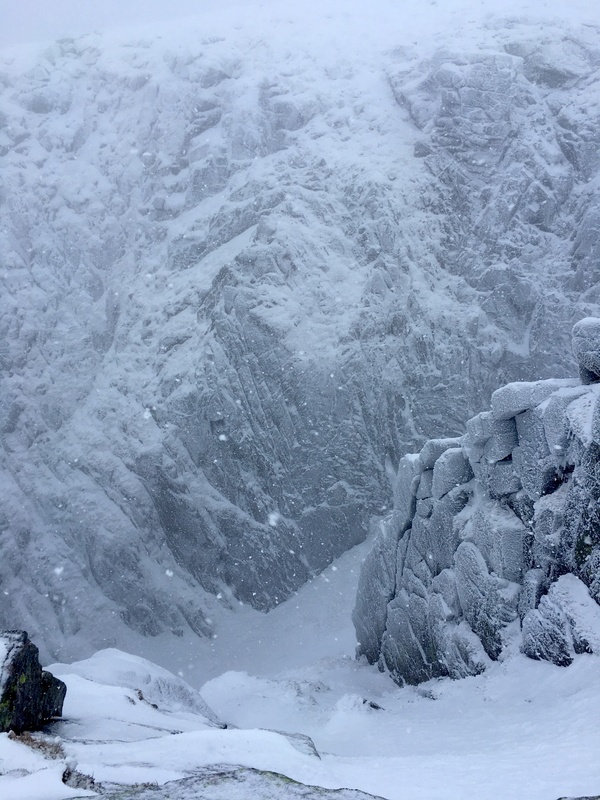 The occasional climbing call drifted up the crags indicating that there were climbers active in the corrie – A very much welcome return to winter conditions. 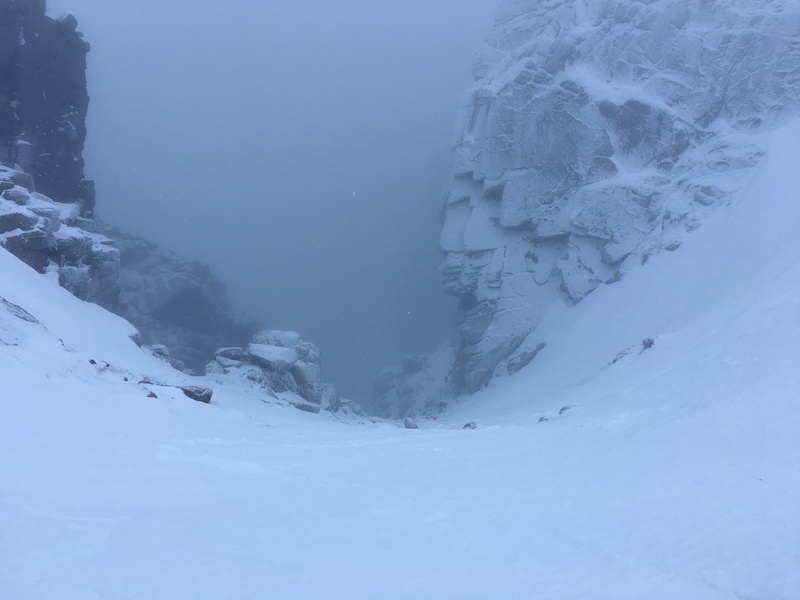 It was very noticeable that when viewed from below the crags look lean but when you are on the top looking down on all the snowy ledges with all the rocks rimed up it feels much more wintery, with the odd line of footsteps appearing out of some of the easier gullies. 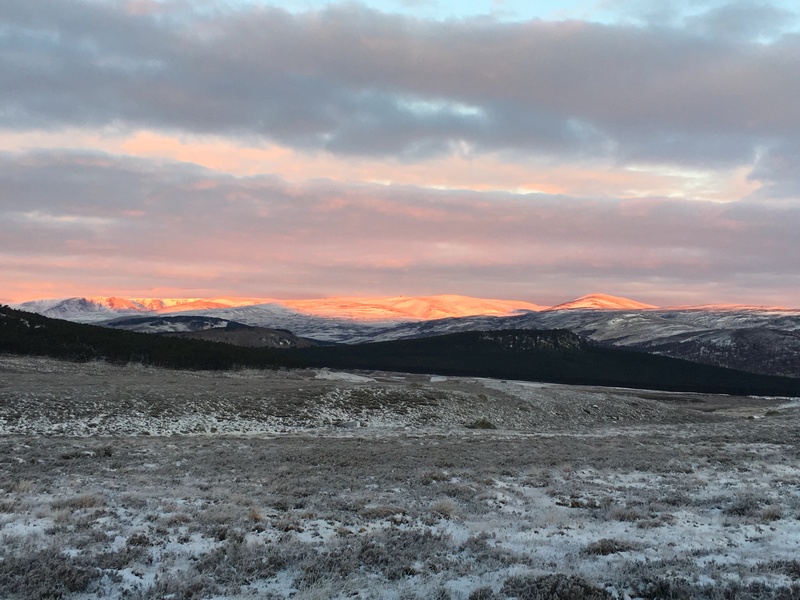 There is some snow forecast from late afternoon into the evening tomorrow but most forecasts seem to be suggesting that the West is going to receive the lion’s share with only sporadic snowfall reaching the Cairngorms. It will however become very windy during the afternoon so an ‘early start-early finish’ might be a good idea if you are heading out tomorrow. Have fun! 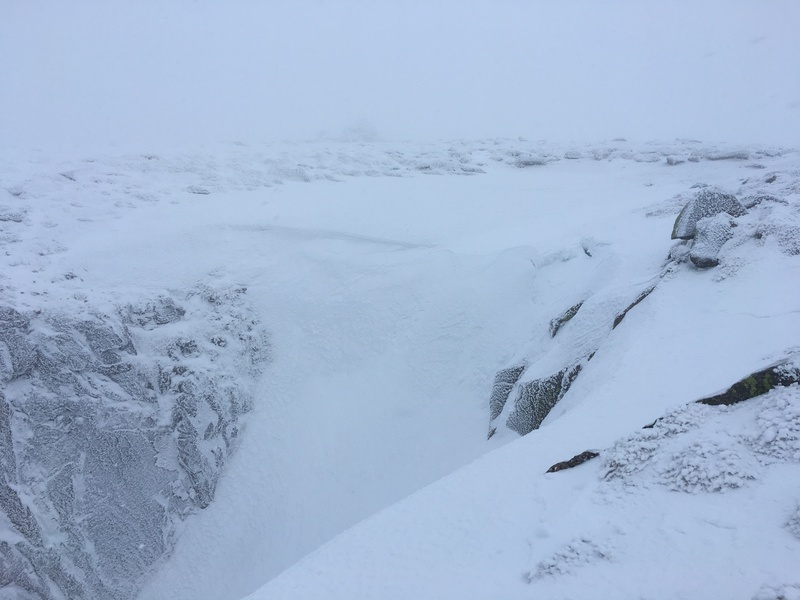 Lochnagar just before the cloud descended. Cliffs looking whiter from above than in the previous shot. Light snowfall made it feel properly wintery up there. Top of Right Hand Black Spout. Easy angled exit at present. Left hand Black Spout without its usual nasty cornice.